Drop-in Traditional Music Sessions: 6:30 p.m. – 8:30 p.m. $5. Friendly traditional music sessions. Moderate swingy pace. Adults and teens of all skill levels welcome – and not just fiddles. Northampton Senior Center, 67 Conz St., Northampton. fiddlewesternmass@gmail.com. Greenfield Coop Concerts: 6 p.m. – 8 p.m. Featuring Sheryl Stanton, Jim Eagan, Charlie Conant. Energy Park, 50 Miles St., Greenfield. pattex@crocker.com. Chickenwire: 5 p.m. – 7 p.m. Fort Hill Brewery, 30 Fort Hill Rd., Easthampton. Luke Baillargeon: 6 p.m. – 8 p.m. Live Italian music. The Mick, 3 Country Club Rd., Holyoke. 413-532-1800. info@logcabin-delaney.com. LuxDeluxe: 6 p.m. – 10 p.m. Join us on the Luxe patio for the talented and popular LuxDeluxe duo! Luxe Burger Bar, 1200 West Columbus Ave., Springfield. 413-785-5893. steve@luxeburgerbar.com. OPEN MIC 7-10: 7 p.m. – 10 p.m. The Marina, 28 Spring Tree Rd., Brattleboro. 802- 257-7563. Summer Salon: Chamber Music with Keyboard: 7 p.m. – 9 p.m. Brattleboro Music Center, 72 Blanche Moyse Way, Brattleboro. Thursday Night Karaoke with DJ Greg: 9 p.m. – 1 a.m. Free. Join DJ Greg for Karaoke every Thursday night. Platform Sports Bar, 125A Pleasant St., Northampton. larhoades@gmail.com. The Closet: Williamstown Theatre Festival, Williamstown. Hampshire Shakespeare Company presents Twelfth Night: 7 p.m. Adults: $15; Students/Seniors: $10; Children $7. The Arthur F. Kinney Center for Interdisciplinary Renaissance Studies, 650 East Pleasant St., Amherst. hampshire.shakespeare.company@gmail.com. Shakespeare & Company presents: Morning After Grace: 3 p.m. – 5:30 p.m. Elayne P. Bernstein Theatre, 70 Kemble St., Lenox. The Sound Inside: Williamstown Theatre Festival, Williamstown. Theatre Adventure Shining Stars: New England Youth Theatre, 100 Flat St., Brattleboro. Annual Berkshires Arts Festival: Great Barrington. Boston Symphony Orchestra: Opening Night at Tanglewood with Lang Lang: 8 p.m. – 10 p.m. Koussevitsky Music Shed, 297 West St., Lenox. Brahms: The Sonatas for Piano and Violin: 7:30 p.m. – 9 p.m. $40 advance, $45 at the door. Aston Magna Festival presents a Brahms evening with Robert Levin, piano, and Daniel Stepner, violin. Pre-concert talk one hour before the program. Rhodes Art Center, Northfield Mount Hermon School, 27 Mount Hermon Rd., Mount Hermon. 413-528-3595. info@astonmagna.org. Dance Party with DJ Miami Hypez: 10 p.m. – 1:30 a.m. Dance the night away every Friday and Saturday night with DJ Miami Hypez from 10pm – 1:30am. Platform Sports Grill, 125A Pleasant St., Northampton. 413.341.3161. Dunham Shoe Factory w/ The Gaslight Tinkers: 9 p.m. $12 – $15. Hawks & Reed Performing Arts Center, 289 Main St., Greenfield. Inneraction: 8 p.m. Tickets $10 adv/ $12 door $10 – $12. $10 adv/ $12 door. Blues oriented soul-jazz. Gateway City Arts, 92 Race St., Holyoke. 413-650-2670. cait@gatewaycityarts.com. 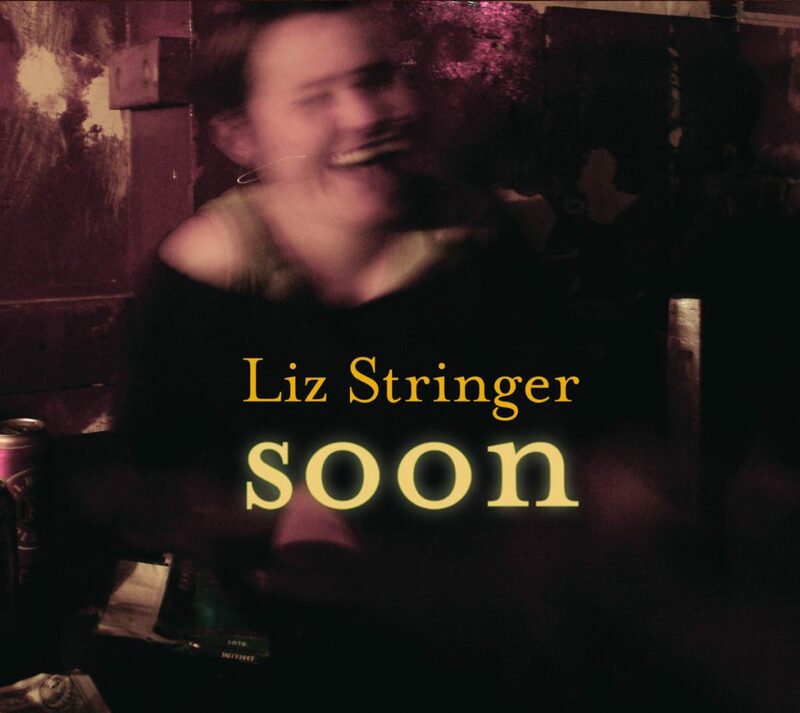 Laura Love / Plus: Liz Stringer at the Iron Horse: 7 p.m. – 10 p.m. Iron Horse Music Hall, 20 Center St., Northampton. Alex Johnson: 5 p.m. – 7 p.m. Fort Hill Brewery, 30 Fort Hill Rd., Easthampton. Live Music on The Deck: Friday & Saturday: 6 p.m. – 9 p.m. The Deck at Union Station has live music all summer long! Check platformsportsgrill.com for the list of bands. Union Station, 125A Pleasant St., Northampton. 413-341-3161. Opening Night Concert: 8 p.m. $15 – $30. The Big Barn, 49 Main St., Putney. 802-387-6637. fiona@yellowbarn.org. Rocky Hill Revival: 6 p.m. – 10 p.m. Join us on the Luxe patio for some of the Valley’s finest Bluegrass pickers…..a “don’t miss” show. 6 to 10 pm. Luxe Burger Bar, 1200 West Columbus Ave., Springfield. 413-785-5893. steve@luxeburgerbar.com. Tom Savoy: 7 p.m. – 11 p.m. Live music in The Mick Free. 3 Country Club Rd., Holyoke. 413-532-1800. info@logcabin-delaney.com. Paul Taylor Dance Company: 8 p.m. $10 – $95. Paul Taylor continues to shape the homegrown American art of modern dance that he has helped define since becoming a professional dancer. Mahaiwe Performing Arts Center, 14 Castle St., Great Barrington. 413-528-0100. info@mahaiwe.org. Sweet Charity: New England Youth Theatre, 100 Flat St., Brattleboro. Ko Festival of Performance: The Radicalization Process | The Hinterlands: 8 p.m. – 10 p.m. $18 – $22. SNAP/EBT discount available. The Hinterlands’ play questions our assumptions about what drives us to take action, how far is too far, & what role imagination has in revolution. Holden Theater, Amherst College, 290 S. Pleasant St., Amherst. 413-427-6147. info@kofest.com. Hampshire Shakespeare Company presents Twelfth Night: 7 p.m. The Arthur F. Kinney Center for Interdisciplinary Renaissance Studies, 650 East Pleasant St., Amherst. Hampshire.shakespeare.company@gmail.com. 49th Mohawk Trail Concerts Summer Festival: 7:30 p.m. – 9 p.m. The Federated Church, 175 Main St. (Route 2), Charlemont. 413-625-9511. A Perfect Spot of Tea ft. Peter West, at the Porter Phelps Huntington Museum: 2:30 p.m. $12 per person. Tea and pastries with music by Peter West. Tours every hour on the half hour. Porter Phelps Huntington Museum, 130 River Dr., Hadley. 413-584-4699. AEIOUkes: 10 a.m. – 12 p.m. AEIOUkes is a community ukulele club meeting to sing together and practice playing. New members of all levels and listeners always welcome. Forbes Library, 20 West St., Northampton. 413-587-1012. reference@forbeslibrary.org. Bombino: 7 p.m. Iron Horse Music Hall, 20 Center St., Northampton. Concert #3: Chris Brashear and Tim Watson (A Gill 225th Anniversary Event! ): 5:30 p.m. – 9 p.m. Antenna Cloud Farm, 25 Green Hill Rd., Gill. Dance Party with DJ Miami Hypez: 10 p.m. – 1:30 a.m. Dance the night away every Friday and Saturday night with DJ Miami Hypez. Platform Sports Grill, 125A Pleasant St., Northampton. 413-341-3161. Fanfare Brass Choir – Music Concert: 7 p.m. – 8:30 p.m. A concert of light popular and classical music. The White Church, 5 North Rd., Blandford. 413-686-5027. tbn8@aol.com. The Healys: 7 p.m. – 11 p.m. Live Irish music. The Mick, 3 Country Club Road, Holyoke. 413-532-1800. Karaoke: 8 p.m. – 12 a.m. Pulaski Club, 79 Maple St., Easthampton. LADAMA: 8 p.m. $12 – $36. MASS MoCa, 1040 MASS MoCA Way, North Adams. 413-622-2111. Shaker Barn Music: heading to the love shack with Pi Power Trio: 7:30 p.m. – 9:30 p.m. Hancock Shaker Village, 1843 W. Housatonic St., Pittsfield. Taylor McCoy Trio: 6 p.m. – 10 p.m. All Ages. Luxe Burger Bar, 1200 West Columbus Ave., Springfield. 413-785-5893. Ukulele Strum Along: 3 p.m. – 4:30 p.m. Come play music in our monthly strum along. Bring your ukulele or borrow one of ours. Call 413-259-3096 to reserve an instrument. Jones Library, 43 Amity St., Amherst. 413-259-3223. Wendell Reggae Fest: 2 p.m. – 11:30 p.m. $8 – $10. Live reggae, vendors, food, all ages. Special appearance from the reggae great Denroy Morgan joined by local bands Rhythm Inc, Total Collision etc. Deja Brew pub and Cafe, 55 Locks Village Rd., Wendell. 413-834-4858. FLAMBOYAN: 6 p.m. – 9 p.m. $10. FLAMBOYAN is a spiritual open gallery with elements of performance art exploring the sacrifices imposed on Puerto Rican women coming into womanhood. Northampton Center for the Arts, 33 Hawley St., Northampton. Hampshire Shakespeare Company presents Twelfth Night: 7 p.m. 7 – $15. Hampshire Shakespeare Company presents one of Shakespeare’s most beloved comedies. The Arthur F. Kinney Center for Interdisciplinary Renaissance Studies, 650 East Pleasant St., Amherst. The Rocky Horror Picture Show: 11:59 p.m. – 2:20 a.m. $4.50 – $8.75, half off if in costume. The Come Again Players shadow cast The Rocky Horror Picture Show on the first Saturday of every month at midnight. Must be 17 with I.D. South Hadley’s Tower Theaters, 19 College St., The Village Commons, South Hadley. 413-533-3456. Ko Festival of Performance: The Radicalization Process | The Hinterlands: 8 p.m. – 10 p.m. $18 – $22. SNAP/EBT discount available. The Hinterlands’ play questions our assumptions about what drives us to take action, how far is too far, & what role imagination has in revolution. Holden Theater, Amherst College, 290 Pleasant St., Amherst. 413-427-6147. info@kofest.com. Asleep At The Wheel: 7 p.m. Iron Horse Music Hall, 20 Center St., Northampton. Banish Misfortune, Traditional Irish Music: 5 p.m. – 8 p.m. Traditional Irish hornpipes, reels, jigs, waltzes, polkas, airs, songs and craic. Northampton Brewery, 11 Brewster Court, Northampton. 413-586-4997. Boston Symphony Orchestra: Brahms and Shostakovich: 2:30 p.m. – 4:30 p.m. Koussevitsky Music Shed, 297 West St., Lenox. Brattleboro Conscious Dance: 11 a.m. – 1 p.m. Headroom Stages, 17 Elliot St., Brattleboro. David Bartley, vocals and piano: 7:30 p.m. – 10:30 p.m. Gateways Inn, 51 Walker St., Lenox. 413-637-2532. dbartley123@gmail.com. Mark Nomad: 3 p.m. – 6 p.m. Fort Hill Brewery, 30 Fort Hill Rd., Easthampton. Live Music on The Deck: 4 p.m. – 7 p.m. The Deck at Union Station has live music all Summer long! Platformsportsgrill.com for schedule. Union Station, 125A Pleasant St., Northampton. 413-341-3161. Open Mic at Mill 180 Park: 12:30 p.m. – 2:30 p.m. The Russellers lead this very welcoming Open Mic every second Sunday. Come early to add your name to the list. Delicious food and drink available. Mill 180 Park, 180 Pleasant St., Easthampton. 413-977-1538. art@susannawhite.com. Peter Blanchette: 3 p.m. Guitarist, composer, arranger and conductor Peter Blanchette is known around the world as the inventor of the 11-string archguitar. Gateway City Arts, 92 Race St., Holyoke. 413-650-2670. hello@gatewaycityarts.com. Sevenars Music Festival: South Worthington. TNT Karaoke: 9 p.m. – 11 p.m. Free. The Rendezvous, 78 Third St., Turners Falls. 413-863-2866. voobooking@gmail.com. Miss Latina Western Mass 2018 Pageant Competition: 2 p.m. Academy of Music Theatre, 274 Main St., Northampton. Hampshire Shakespeare Company presents Twelfth Night: 7 p.m. $7 – $15. Hampshire Shakespeare Company presents one of Shakespeare’s most beloved comedies. The Arthur F. Kinney Center for Interdisciplinary Renaissance Studies, 650 East Pleasant St., Amherst. hampshire.shakespeare.company@gmail.com. Ko Festival of Performance: The Radicalization Process | The Hinterlands: 4 p.m. – 6 p.m. $18 – $22. SNAP/EBT discount available. The Hinterlands’ play questions our assumptions about what drives us to take action, how far is too far, & what role imagination has in revolution. Holden Theater, Amherst College, 290 S. Pleasant St., Amherst. 413-427-6147. info@kofest.com. Shakespeare & Company presents: Morning After Grace: 7:30 p.m. – 10 p.m. Elayne P. Bernstein Theatre, 70 Kemble St., Lenox. Sunday Funday Comedy Open Mic: 7:30 p.m. – 9:30 p.m. Stand up comedy open mic every Sunday at Bishop’s Lounge hosted by Laura Fattaruso. Sign up starts at 7. Drinks and food available. Bishop’s Lounge, 41 Strong Ave., Northampton. fattaruso@gmail.com.